& What’s the Difference Between Plaid and Flannel Anyway? Happy day friends, I took a little time off from the blog as I was off traveling after Christmas in Thailand! Now I’m back and ready to take on the New Year! Did you see my last post? Did you set your goals and intentions!? If not, I encourage you to do that! Keep it simple and write them down 🙂 Here is the link! 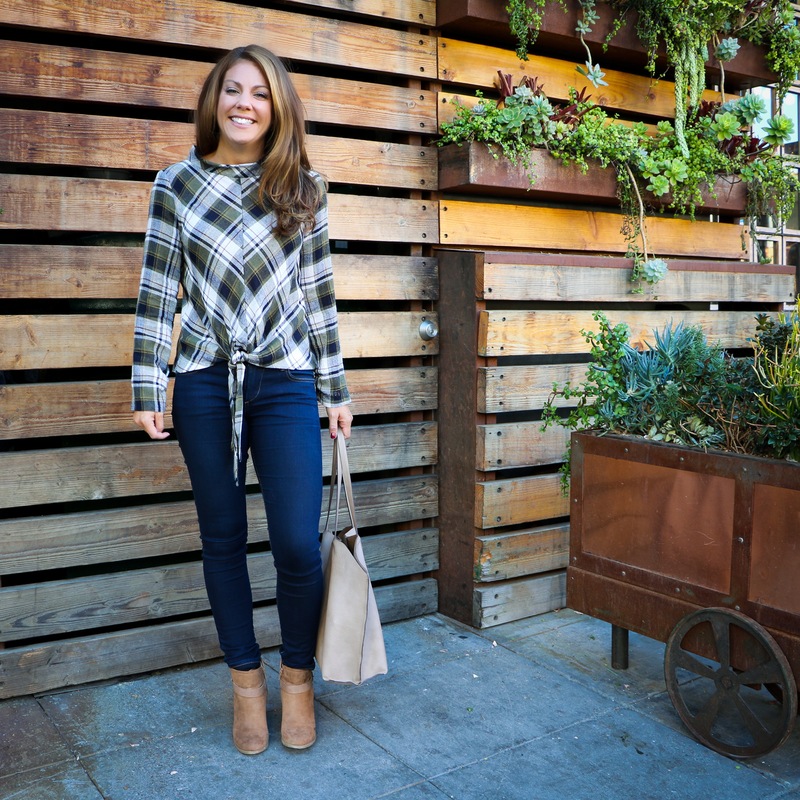 In this post I’m talking about this playful plaid shirt that ties at the midsection from Zara…. and giving you the quick rundown about the difference between plaid and flannel! Have you ever wondered what’s the difference between plaid and flannel or am I the only one?? Please tell me I’m not!! Plaid and Flannel are trending and are somewhat of a classic look so I thought I would make mention of this trend. plaid noun \ˈplad\: a pattern on cloth of stripes with different widths that cross each other to form squares. flan·nel noun \ˈfla-nəl\: a soft cloth made of wool or cotton. Note: there is no mention of color or pattern. If you’ve been reading my blogs you’ll know that I love alliterations. They help me associate things to remember them easily. Whether it’s when I meet people at a networking event — for example, Sarah has sassy shoes, Reena wears readers — or to remember fashion trends, it all works the same way!! Plaid is a Pattern and Flannel is a Fabric so P&P and F&F! Violá! In case you need a little more clarification, and hopefully not to confuse you, plaid comes in many different fabrics and colors. You’ll most likely see plaid shirts, pants, dresses, scarves, and on and on. Plaid can also be a preppy style where flannel comes in many different prints and is seen most commonly on pj’s and sheets. Raise your hand if you have flannel pjs?? I just got some a few weeks ago! They are super cozy. The thing about plaid and flannel that I love is that although it’s trending, it’s also classic. I found this fun plaid shirt at Zara (I’m totally on a Zara kick and no this is not a sponsored post!) I love this top because it’s fun and different! The thing I love about Zara is the clothes are reasonably priced and you can find a HUGE variety: work/office, going out, athletic and special occasions. There is literally something for everyone — Men, women, kids — and they are on point for off-the-runway trends! I try to purchase items that are versatile, classy and multipurpose. If I can wear it to work + an evening out + on the weekend AND it’s reasonably priced, I’m IN. This top is different, it has a high neck and tie at the midsection (which seemed risky to me as it can be a little short), so for work I loosened the tie to make the shirt appear longer and wore a cami/tank (my ultimate faves are Target Mossimo in every color, $9.99) and it worked perfectly for work (pun intended)! Then it can be tied a little tighter so it’s gets a little shorter for a girls night out for a little bit of BELLY eek, but, just a peek, to keep it classy!! I like to keep covered most of the time. These jeans are a staple. I have a few classics I purchase for the season, either the season before on sale or from the Nordstrom N sale in July. Things I’ll keep you apprised of before they happen! These True Religions are great because they are super stretchy and the pockets are flat so I can stick my phone in the back pocket (unlike some of their other jeans that have buttons on the pockets, which makes actually using them tough – for me anyway!). 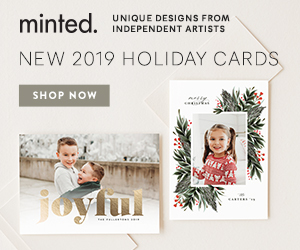 I linked a few other cute plaids you can wear year round in my Mr. Jingles Holiday Pine & Plaid post and a few more here! Here is your Bicoastal Beauty tip of the week: since I’ve been traveling so much, I’m going to refer you to this a mazing Travelrest pillow. It’s great for cross country flights and world travel to help you sleep more more comfortably in small spaces. Super comfy and easy to inflate and deflate! Get your rest, my beauties! Have a wonderful week! Please leave a comment below, I want to hear from you! 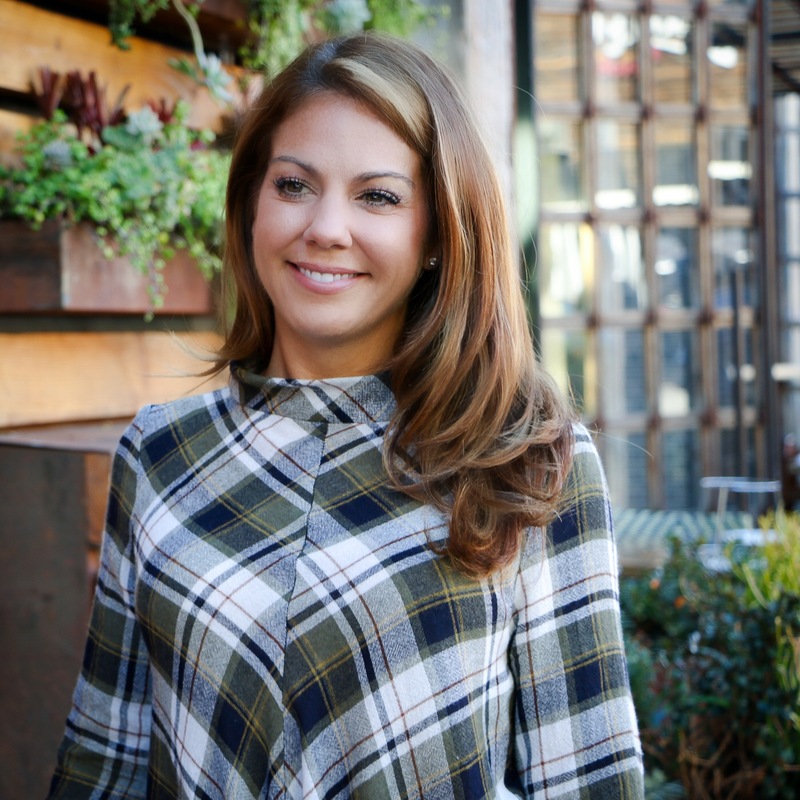 Love this – I learned something new AND got some sweet style tips 😉 love the cut of the shirt you’re wearing – what a fun and flattering way to mix up your wardrobe! First of all thanks for sharing the difference between plaid and flannel. I. You look incredibly with this plaid shirt, and yes I have a flannel pj. It was such a fun (and funny) day! I would love to do it again! Thank you so much! Got to love the plaid pjs!!! 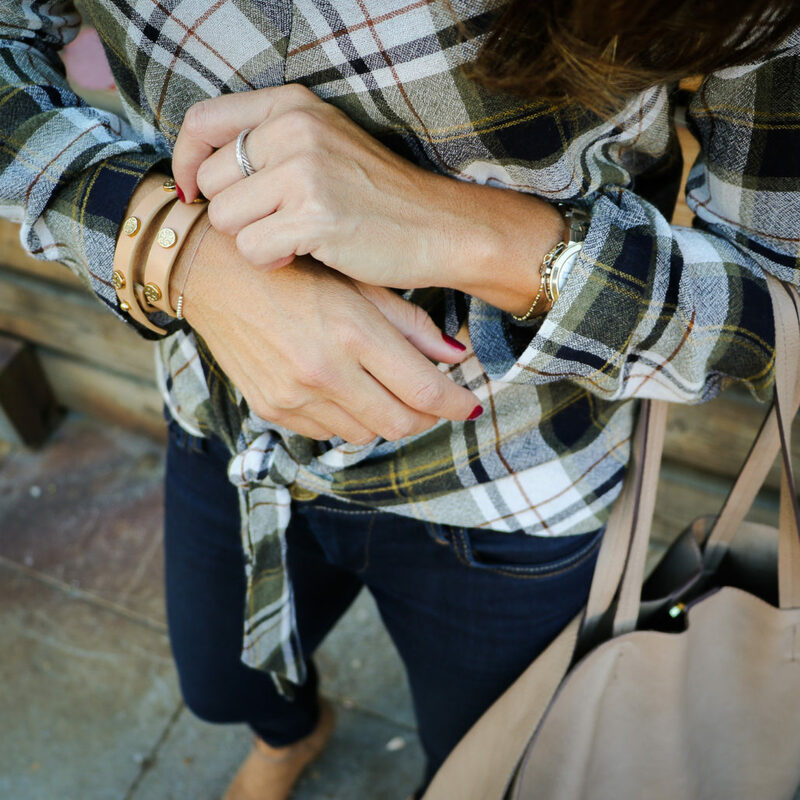 I love this plaid top. It is so cute and trendy! Thank you so very much, La-Tisha!! !